We have two positions available, read below to see the details. ¡Gracias! 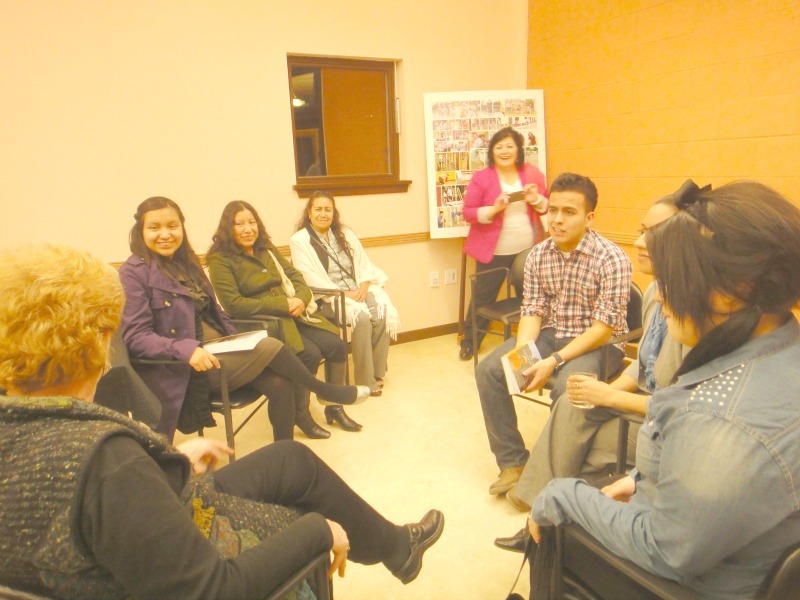 The CAPACES Leadership Institute (CLI) was established in July of 2011 to prepare emerging leaders in the Latina/o communities of the Mid-Willamette Valley to lead community-based non-profits and for public service. In Spanish, CAPACES means both “we are capable” and “capabilities”. The acronym stands for Colaboración Adelantando a Personal de Apoyo para Capacitarnos, Enlazarnos y Solidarizarnos (Collaborative Assisting Personnel to Advance our Capacity, Engagement and Solidarity). However, the work began as a project out of PCUN, one of our sister organizations, back in 2003. The CAPACES Leadership Institute was founded to prepare leaders with the political consciousness and skills needed to lead and support social justice work. We envision a Latina/o community with equitable leadership representation in all sectors that is working to address social disparities. Our guiding values are commitment, courage, humility, equity and justice, sacrifice, and sustainability. Talento Universitario Regresando a Nuestros Origenes (TURNO) translated to University Talent Returning to Our Origins is a youth program offered to youth ages 14-18 who attend Woodburn High School’s five academies. 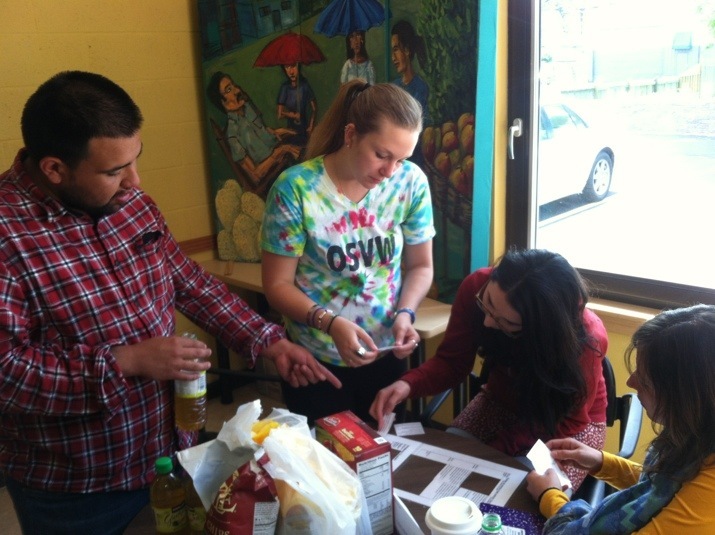 TURNO is designed for low income, farmworker, and immigrant youth to learn what social justice is and how it affects their personal day to day lives. It is intended to provide support, guidance and preparation for long-term leadership in the social justice movement and to motivate youth to pursue a higher education and give back to their communities. Youth meet weekly and focus on enhancing their political consciousness through education, civic engagement and leadership development. Developing leaders in our community is part of our mission as an institute, and through this program we begin investing in future leaders. The ideal candidate will be inspired by and fully committed to CLI’s vision and mission, and will represent the organization in a professional manner among partners, community organizations, families and individuals. The TURNO Support Coordinator is a part time position that works alongside the Leadership Team and the Coordinator to help carry-out the program activities and ensure program success. The TURNO Support Coordinator reports to the TURNO Program Coordinator. People’s Representative (PR) is a new leadership program focused on public service training. PR has been designed to serve as a gathering place within the CLI for social justice minded Latina/o leadership in the Willamette Valley. Participants will learn what it takes to successfully position themselves for public service seats with decision making power (i.e. appointment, committees, advisory groups, etc.). The goal of the program’s cohort model is to increase Latina/o political representation, bridge the inequities facing working class populations, and foster new political leadership coming from low-to-moderate income, farmworker, and immigrant backgrounds. Under the direction of the Executive Director the PR Coordinator’s primary task will be to implement the program’s training component. The coordinator will also assist in developing the programs overall structure. The coordinator will work one-on-one with fellow staff and volunteers assigned to support PR including facilitators, guest speakers, and a council of advisors. The coordinator will be required to engage staff from sister organizations, network with similar training programs in the region, and be up-to-date on civic leadership vacancies in Marion and Polk counties. Additionally, the coordinator is responsible for familiarizing themselves with and assisting the institute’s general programming as needed.This position may require some evening and weekend hours. Submit a cover letter and resume to: info@capacesleadership.org and in the subject line specify the position which you are interested in. Open until filled. Initial review of applications will begin January 29th. How many youth are involved at LUS? When did you first learn of CAPACES Leadership Institute? Do you consider yourself a leader? What do you think of CAPACES’ efforts in developing youth leadership? Where do you see your developing leadership taking you in the next five years? Is there anything else you would like the CAPACES Network to know? Meet Yadira our 6th Anniversary M.C. We know the current political climate affects people in different ways. Many of us in the social justice movement have expressed feelings of fear, anger, and anxiety. However, despite hard times we want to share that our excitement has not diminished. July 12th marks our 6th Anniversary and we want you to celebrate with us! At the CLI, we help foster the leadership who will navigate our immigrant community through the xenophobic and hate filled landscape. 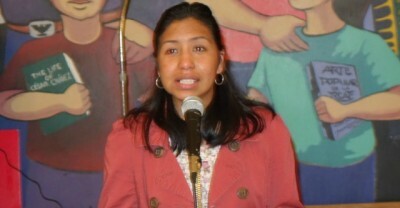 Yadira Juarez is a wonderful example. A first-generation immigrant, former farmworker, and mother of three children, she exemplifies the type of leaders we help develop. Yadira has been involved in the CAPACES Network even before our non-profit organization status was official. Since 2013, Yadira has worked with the Salem/Keizer Coalition for Equality as the Early Learning Program Director. Previous to that role she was employed by FHDC in the “Leyendo Juntos” program. 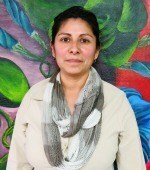 Yadira has accepted to participate as our 6th Anniversary Master of Ceremonies. She views her role on stage as yet another step in her development as a leader. 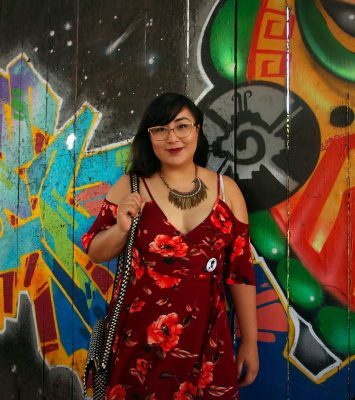 “I never imagined I would go from being a farmworker to being an M.C.” Yadira expresses gratitude toward all the non-profit organizations, including CAPACES, who have opened their doors, guided her, and helped her develop the talents she never knew she had. The community needs more leaders like Yadira. CAPACES has the capacity to share informational resources to the community. From gender justice, to youth development, and political education, but we need financial support in developing these leaders that will represent our communities. Can we count on your support to continue making this happen? Ever entered a lecture hall anticipating dialogue, a sharing of ideas, values and experience only to receive… well, a lecture? This form of education is common in many universities across the country, which explains why this past April many OSU students were in for a surprise as they arrived in Woodburn to participate (or take a test drive) in CAPACES 101, one of the CAPACES Leadership Institute’s (CLI) popular education courses. 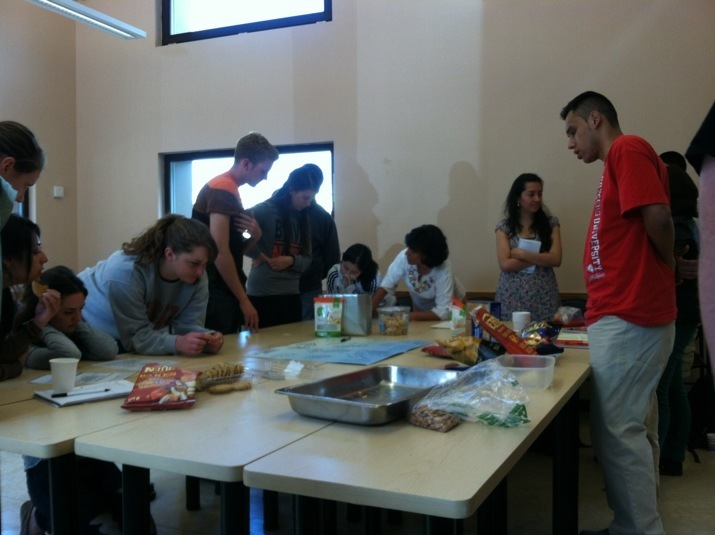 The partnership between the CLI and OSU’s Advanced Spanish Coordinated Studies Program led by Loren Chavarria included five Tuesday sessions in the CLI’s facility in Woodburn and volunteer opportunities with CLI’s youth program TURNO, Radio Movimiento, and FHDC to name a few. CAPACES 101 Introduction, which provides an overview of the CAPACES 101 format based on popular education, which utilizes a facilitator, who leads discussion, draws from the audience’s experiences. Historias y Logros or our History and Struggle, which provides a brief description of the history of the movement, from PCUN’s (Oregon farmworker union) humble beginnings to the development of other organizations. Valores e Ideas Claves del Movimiento or Values and Ideas of the Movement, which provides the key values and ideas of the CAPACES movement and identifying what they mean to us and their importance. Los “Ismos” or the “Isms”, which aims to uncover our own prejudices and offer tools to analyze the different isms and phobias such as: racism, institutional racism, sexism (machismo), and homophobia. Riquezas y Convenios Colectivos or Wealth and Collective Bargaining, which covers the concepts of wealth, who possesses it, and uncovering our own personal assumptions. The class also covers the importance of Collective Bargaining in relationship to the farmworker movement. “It was great for the CLI staff to be able to connect the formal education with the world of popular education. I think everyone had fun and learned a lot from one another.” Shared Executive Director Laura Isiordia. Two weeks ago, the CAPACES Leadership Institute hosted the Tom Ruhl Scholarship Fund Gathering, a fundraising event for a Marylhurst University scholarship to benefit young Latino leaders who face barriers to higher education. Former Governor Barbara Roberts, a Marylhurst University grad, headlined the program, offering a reading of her book Up the Capitol Steps for the 100 plus people in attendance. Dalila, who arrived to US when she was fourteen, became involved with FHDC’s Nuevo Amanacer’s after school program as a volunteer and later became a full time organizer, helping connect farmworker families to social services. Dalila will enroll at Marylhurst University in the fall of 2013 and hopes to use her education to give back to the community and the movement she calls home. Following the event, Barbara Roberts spoke with several youth leaders from the CLI’s TURNO program about her path to leadership, more specifically her Governorship. What do people say about the CLI? The CLI is a great organization that has programs like RE-TURNO, where we are prepared to be great leaders for our community.